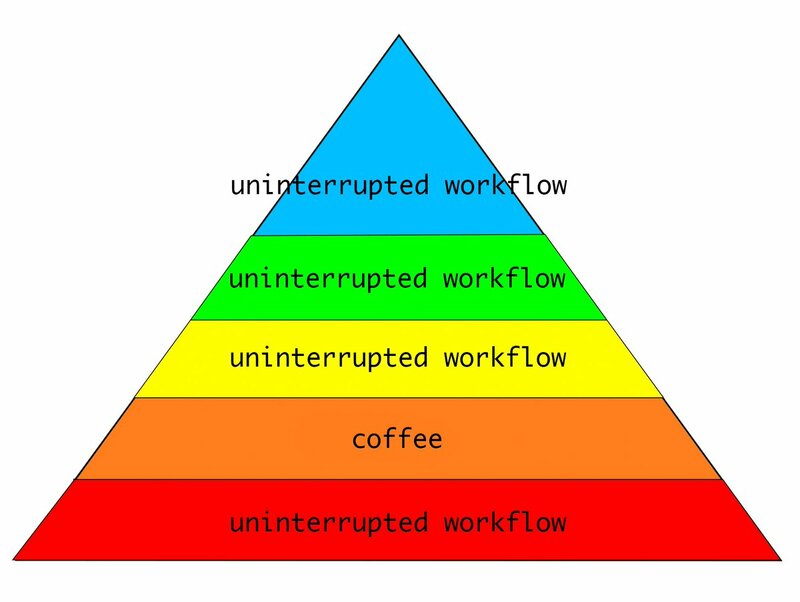 User jdlee posted Maslow’s hierarchy of dev needs from Twitter – One gets the impression that the developer’s needs weren’t being met when designing that graph. User adimit gave high praise to Growing Object-Oriented Software Guided by Tests, saying that “it’s really simple but helping me write a test-driven app right now” and (coming from a Haskell background) “I’ve always hated OOP, but now I see how to do it properly, and it can be fun.” Anything that helps code quality improve is awesome, if you ask me. From DZone: The Rise and Fall of Scala describes the apparent slow demise of Scala. The author backs it up, and it’s not a bad article; Scala’s awesome (I love it) but the criticisms are quite valid. Two areas where the author sees Scala remaining strong: Big Data and custom DSLs, definitely two Scala strengths. It may be a little early to suggest that Eclipse is dead, but “The Fall of Eclipse” says it anyway, and says why. The Eclipse community would disagree, of course. User liste pointed out MariaDB4j, which is… MariaDB embedded into a jar, suitable for integration testing with MariaDB in a build tool. Sure, H2 and Derby exist, but this allows you to test against MySQL and MariaDB, because if you have to use MySQL in whatever terrible world you happen to live in, you definitely want to test against it instead of a good database, to help you work out what awful bugs you need to avoid. User yawkat also pointed out something that your humble author was unaware of: the hash code of Java Strings isn’t calculated until hashCode() is called. That makes perfect sense, actually. The javadoc for String’s hashCode() points out how the hashcode is calculated, but not when. The channel has mentioned tries (pronounced “trees”) as a form of data structure a few times lately; in case you don’t know what a trie is, or how it differs from a tree, see The Trie: A Neglected Data Structure. The front-end maven plugin says it can download and install Node, NPM, Gulp, and/or Grunt for you as well.